John Mulhern returns again this year to cover the Idaho Steelheads for 100 Degree Hockey. 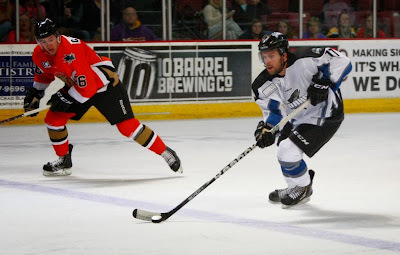 John was recently named to the broadcast team for the Idaho Steelheads' home game television broadcasts. He will recap game here with a specific focus on Texas Stars prospects and players who could be in the PTO pipeline for later in the season. After four games, the Idaho Steelheads are 2-2, which is good for 4 points and has them in a divisional tie with both the Grizzlies (Norfolk Admirals) and the Eagles (unaffiliated). Of course, four games is too small of a sample size to make any kind of assumptions, but with Josh Robinson logging major frequent flier miles already as well as having a two-game set with a very offensive minded Eagles team, personally, I’ll gladly take a 2-2 start as the team tries to find their groove and line combinations. As mentioned we’ll get more in depth as the season rolls along especially in looking at contracted players, but here are the names of some players that have caught my attention over the first four games (no contract required). Anthony Nigro (ECHL contract only): Just named ECHL Player of the Week for the week of Oct 21-27. He has four goals and two assists for six points over the first four games, including a game-winner against the Bulls last week. He has been very impressive and appears to give effort at both ends of the ice. William Rapuzzi (ECHL contract, was in Texas training camp): The most consistent player for the Steelheads over the first four games. He also has 6 points with one goal and five assists. Some would argue that the assists are just as, if not more, important than the goal. Taylor Vause (AHL-ECHL two-way contract): A Texas Stars contract player, was off to a bit of a slow start, but had a nice two goal game on Saturday to get him up to four points on the season (3G,1A). He could certainly be a player on the “yo-yo” all year long. Defensively, there hasn’t been too much that has stood out either good or bad so far. I would like the team to start yielding a bit less than the 3.5 goals per game they are allowing right now, but I’m willing to give them a pass seeing as how it is early in the season. The two games against Colorado won’t help the average, and Hubert Labrie only dressed for 2 games this year before his call-up. Make sure you check back at this spot every week as we’ll start to give weekly updates recapping game as well as go in-depth about a few prospects. You can listen to Will Hoenike and me broadcast all 36 Steelheads home games this season on 1350AM KTIK. If you want more details about each weekend as well as some thoughts on upcoming opponents, check out my Two Sports Nuts podcast. Texas got an early start for the third time on their Midwest trip but faltered late to hand the Admirals the win in overtime. After an early two goals, the Stars appeared to have things handled with that lead maintained into the third period. However, two third period goals from Milwaukee took the game to extra time. 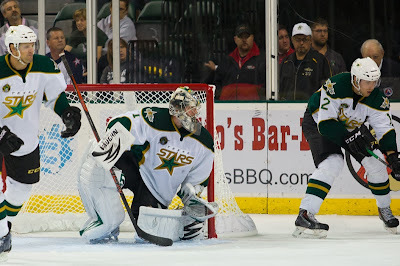 A goal off the rush by Mark Van Guilder ended the Stars' night in defeat. Cristopher Nilstorp had 22 saves on 25 shots. Tonight's single point was the first of the Stars' road trip. Colton Sceviour opened the scoring on the power play, assisted by Travis Morin and Curtis McKenzie. With Milwaukee's Scott Ford in the box, Sceviour backhanded the puck home for his eighth of the year and a 1-0 lead. The Stars extended that lead just six minutes later with a audible tally for Brett Ritchie. The rookie blasted the puck off the post with a loud clang, and the bounce went into the net. Mike Hedden picked up a primary assist on the play and Jyrki Jokipakka a secondary. Shots on goal were at a 7-1 advantage for Texas after the first goal. By the end of the period, things were much closer, an 11-10 advantage for the Stars. A slow second period saw no scoring but several power plays. Milwaukee broke up the shutout bid in the third period with Anthony Bitetto's third of the year. Joonas Rask dropped the puck to Bitetto, who put it home top corner glove side on Nilstorp with five minutes into the third. Former Texas Star Mathieu Tousignant's name was called quite a bit in the contest as he both took a penalty for checking to the head and drew one for roughing. No question he was motivated to play against his former club. Tousignant also put up the primary assist on the game tying goal late in the third period. Austin Watson was unmarked in tight on Nilstorp. Tousignant found Watson, and Watson found twine behind the Swedish tender for the 2-2 score. Joonas Rask also picked up his second assist of the night on the play. Texas attempted to get things going late, moving Mueller up to the first line with Morin and Sceviour, but the game went to OT. After an extended offensive zone visit by Texas, the Ads scored off the rush going the other way. Charles-Olivier Roussel put the puck on net and Mark Van Guilder collected the rebound for a 3-2 victory. Texas plays again on Friday in Iowa. Texas Stars goaltender Jack Campbell has been sent home to Austin following a lower body injury. While the team has stated that the injury is not "long term", there is still no timetable for his return. Texas's road trip continues tonight in Milwaukee and then continues with two games this weekend in Des Moines. Nilstorp will be your likely starter for two of those three. Josh Robinson, having had a good showing in Cedar Park against San Antonio, would be likely to get a game this weekend, in my opinion, against Iowa. 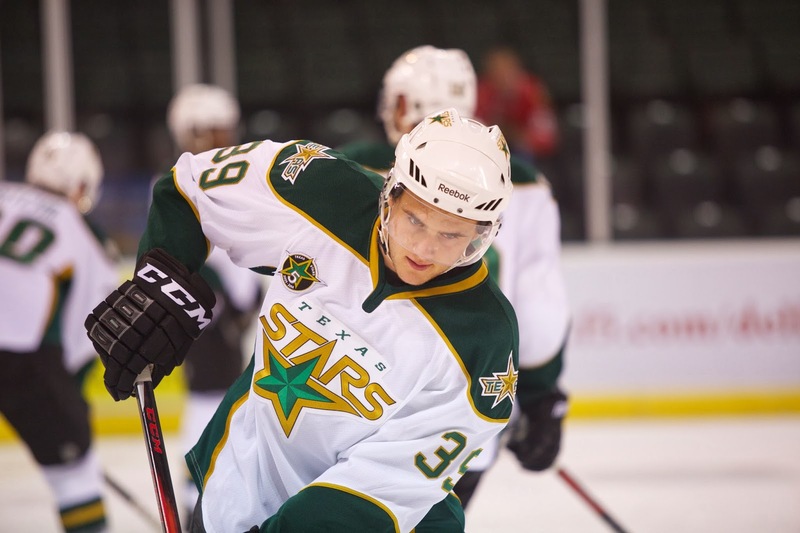 The Dallas Stars announced this morning that they are returning center Travis Morin to the Texas Stars. Morin is the AHL's leading scorer and did not play in any games this week for Dallas in his time there. Obviously, getting the top scorer in the league back on the roster is a good thing. However, the Stars are also presented with a veteran problem now that Morin is back in the fold. In case you've forgotten, the AHL's veteran rule is in place to ensure that the league retains its development focus and limits the number of 'veteran' players who can play on any one night for each club. The basic guts of the rule state that only five players with 320 professional games or more and one with 240 or more can play. That's a limit of six total, and Texas has seven: Travis Morin, Aaron Rome, Maxime Fortunus, Francis Wathier, Chris Mueller, Toby Petersen and Colton Sceviour (less than 320). Coach Desjardins scratched Francis Wathier previously when this situation arose. One of the aforementioned vets will have to be scratched each night for the foreseeable future as long as this roster continues in its current form. Morin, 29, was recalled from the AHL on October 27th and did not appear in a game for Dallas. With Texas this season, he has earned at least one point in each of his first eight contests and leads the entire AHL with 18 points (8 goals, 10 assists). The 6-foot-1, 190-pound forward was the CCM/AHL Player of the Week for the period ending Oct. 20 for posting nine points (4 goals, 5 assists) in four games. The native of Brooklyn Park, Minnesota Morin has appeared in three National Hockey League (NHL) contests, all as a member of the Dallas Stars during the 2010-11 season. Originally drafted by Washington in the ninth-round (263rd overall) of the 2004 NHL Draft, Morin was signed by Dallas as a free agent on July 12, 2010. Don't let the records fool you. Milwaukee has somehow only played five games in the first month of the season and has yet to lose in regulation. Their tenth place rank in the conference means practically nothing. They sport a better winning percentage than the Stars, who have played nine games. The Admirals haven't played any games since the Stars were in town on Saturday. Texas, of course, will not take this game lightly after the result of that game, a 4-2 loss with four unanswered goals by the Ads. Anyone with a keen memory will remember that the Stars started last season, one where the roster was loaded with talent now in Dallas, with a 3-6-1 record. Coach Willie Desjardins righted that ship and navigated the Stars to the top spot in the conference. This road trip was bound to be a little tough. It was the first true 'road trip' for the team, which had not played outside Texas and Oklahoma yet this season. Five of the opening seven games were at the Cedar Park Center, perhaps generating a false sense of confidence among the fans. Desjardins alluded to as much as the team was about to go out on the road. The road stretch was going to be a good measuring stick and it looks like the Stars' got their wake-up call early on in the trip. Better to get such a call in October than March. The health of Jack Campbell will be a question mark for the team heading into tonight's game. The second-year goalie picked up a minor injury in morning skate on Saturday. For the second night in a row, things looked pretty solid for the Texas Stars after twenty minutes. 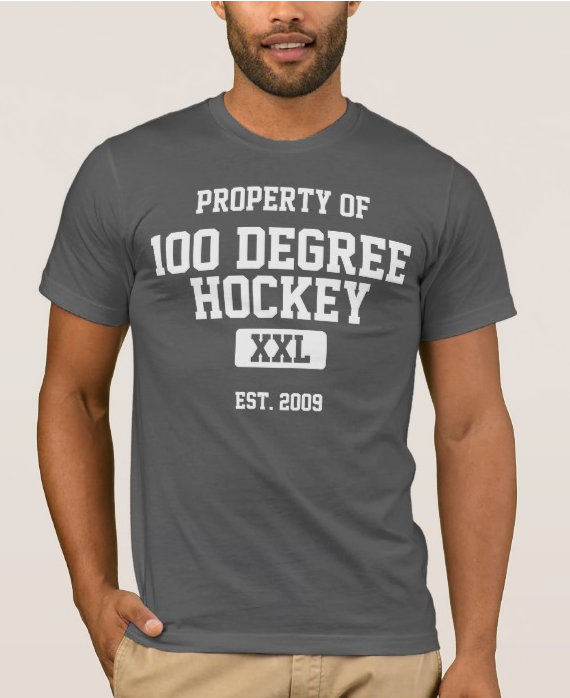 Unfortunately for them, hockey games are sixty minute affairs and their opponents, the Rockford IceHogs, took full advantage of all sixty. After earning a 2-0 lead after one period, the Stars gave up four unanswered goals in the final 24 minutes of the game, including two unassisted tallies. Texas burst onto the scene early, getting two goals from veterans in the first five minutes. Chris Mueller went first, collecting a feed from Mike Hedden in front of the net and depositing it behind Raanta for the 1-0 lead just eighty seconds into the game. Ritchie had the second assist. Mueller slid into the second line as Justin Dowling moved into Travis Morin's spot on the first line. Francis Wathier went next with his first of the year as rookie Matej Stransky found Wathier for a one-timer off the left wing side. Taylor Peters collected his second pro point on the play. Texas captain Maxime Fortunus had an uncharacteristic moment late in the first as Adam Clendening came out of the box and leveled Austin Smith. While Fortunus did not get a fighting major, he did collect a double minor for roughing, about as far as you can go without getting the major. Texas killed the penalty and went to the room with a 2-0 lead and a 15-11 shot advantage. Rockford cut the lead in half late in the second period with Jamie Oleksiak in the box. Drew LeBlanc tipped home a Jimmy Hayes backhand to break up Texas's penalty killing streak dating back to six games to October 15th. Alex Broadhurst tied it up on a giveaway by Texas rookie Taylor Peters. The unassisted tally ignited the crowd and tied the game at two. Another unassisted tally, a takeaway by Mark McNeill, beat Nilstorp high gloveside less than two minutes later. Texas would not recover, giving up an empty net goal with under a minute left to lose 4-2. Texas outshot Rockford 19-9 in the final frame and 48-34 overall. 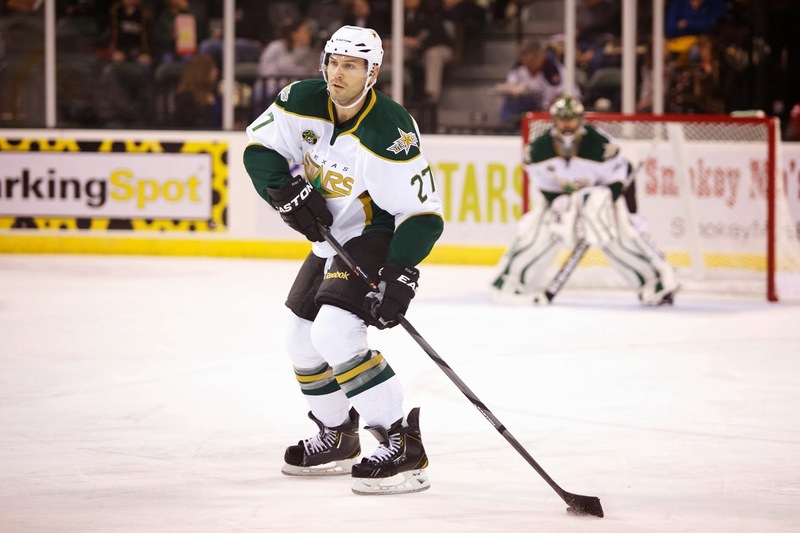 With some fair to middling efforts for the Dallas Stars over the past week, the NHL club decided to call up the AHL's leading scorer from the Texas Stars, Travis Morin. During Texas' second season, Morin played in three games with Dallas, his only NHL action. The move was made possible by the assignment of Aaron Rome to Texas, which opened a roster spot in Dallas. It certainly hurts Texas to lose the AHL's top scorer, but also helps Texas a bit by removing the veteran rule issues that Rome's assignment presented. With Rome in the lineup on a non-conditioning assignment, he counts against the veteran rule and gave Texas seven veterans (Morin, Sceviour, Petersen, Fortunus, Wathier, Rome, Mueller). It's obviously great news personally for Morin. It will be interesting to see how Lindy Ruff uses Morin in Dallas. The Texas Stars, proud American Hockey League affiliate of the Dallas Stars, announced today that Dallas has recalled center Travis Morin from Texas. Morin, 29, has earned at least one point in each of his first eight contests with Texas this season and leads the entire AHL with 18 points (8 goals, 10 assists). The 6-foot-1, 190-pound forward was the CCM/AHL Player of the Week for the period ending Oct. 20 for posting nine points (4 goals, 5 assists) in four games. The native of Brooklyn Park, Minnesota has appeared in three National Hockey League (NHL) contests, all as a member of the Dallas Stars during the 2010-11 season. Morin was Washington's ninth-round selection (263rd overall) in the 2004 NHL Draft. Coming off a week that saw him play in his first NHL game, Jack Campbell was a late injury scratch for the Stars' game against Milwaukee. The injury is being called 'minor' by sources. It triggered the callup of Josh Robinson from Idaho. Campbell has been stellar for Texas this season so far, so the injury is a setback, especially as the Stars hit the road for some tough matchups. 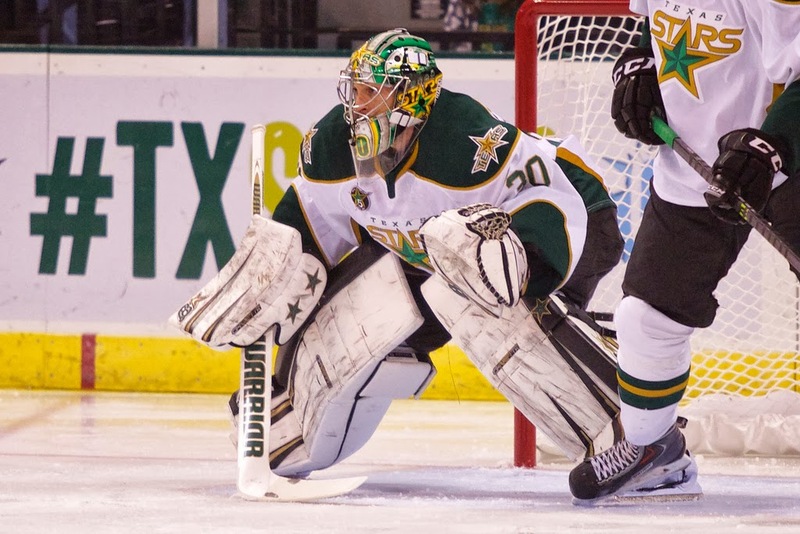 The Texas Stars, proud American Hockey League affiliate of the Dallas Stars, announced today that goaltender Josh Robinson has been recalled from his loan to the Idaho Steelheads of the ECHL. Robinson, 23, made his AHL debut on Saturday night against the San Antonio Rampage, stopping all 26 shots he faced to record his first career AHL win and shutout as Texas won 6-0. The Frankenmuth, Michigan native currently leads the AHL with a perfect goals-against average (0.00) and save percentage (1.000). Robinson has made two starts this season for Idaho and is 1-1-0 with a 3.00 goals-against average and a 0.914 save percentage. Ed. Note - Unable to watch the game on Saturday. After winning four straight, Texas dropped a disappointing match in Wisconsin on Saturday night. The Stars appeared to be off to the races early with goals in the sixth and seventh minute of the game. Rookies Curtis McKenzie and Taylor Peters had their third and first respective goals of their AHL careers. McKenzie's was a power play goal, but Peters found the net shorthanded. Over the following 53 minutes, the Admirals ground down the Stars with four even-strength goals, including two from Colton Sissons. Taylor Peters scored a shorthanded goal in the first period for his first career professional goal, but the Texas Stars squandered an early 2-0 lead lost to the Milwaukee Admirals 4-2 Saturday night at BMO Harris Bradley Center. Texas opened the scoring with its AHL-leading 11th power play goal of the season. Rookie Curtis McKenzie tipped a Travis Morin shot past Milwaukee goaltender Marek Mazanec at 6:05 for his third goal of the year, assisted by Morin and Maxime Fortunus. Just 87 seconds later it was 2-0 Stars when Taylor Peters scored his first professional goal at 7:32. With Austin Smith in the penalty box serving a hooking minor, Peters intercepted a clearing pass in the high slot of the Admirals zone and found the net on a hard wrist shot that beat Mazanec to the glove side. The Admirals turned the tables when Colton Sissions sparked a rally with his third goal of the season just 3:25 into the second period. Late in the period Milwaukee tied the game as Mark Van Guilder’s centering feed took a fortuitous redirection off a Texas skate and found Joshua Shalla unmarked on the back post for an open-net tap-in at 15:49. The Admirals struck again a mere 1:13 later on Sissons second goal of the night, tipping in a pass by Taylor Beck from behind the net to make it 3-2 Milwaukee. Shortly after falling behind, Justin Dowling sent rookie Brett Ritchie off on a breakaway, but his bid to tie the game was thwarted by a strong glove save from Mazanec. The Stars out-shot the Admirals 9-4 in the third period as they gallantly tried to level the score. With 4:45 remaining in regulation Milwaukee iced the game on a counter attack that saw Austin Watson rip a slap shot over the glove of Cristopher Nilstorp from the right circle to give the hosts a 4-2 win. Rookie Marek Mazanec stopped 26-of-28 shots to record his second career AHL victory in goal for Milwaukee, while Cristopher Nilstorp made 19 saves on 23 shots and took the loss for Texas. The Stars out-shot the Admirals 28-23 in the game and went 1-for-4 on the power play; Milwaukee was 0-for-4 with the man-advantage. Notes: Prior to the game Texas signed local Wisconsin-based goalie Billy Sias to an amateur tryout contract. The former Concordia University net minder dressed as the Stars’ emergency backup wearing the number 35 jersey. Josh Robinson was also recalled from Idaho prior to the game, but could not travel to Milwaukee in time to back up starter Cristopher Nilstorp. The Stars went 4-for-4 on the penalty kill to extend their penalty kill streak to 25-straight and are an AHL best 94.1% (32-for-34) while shorthanded. Travis Morin’s assist in the game extended his point streak to 15 straight regular season games. Texas signed Billy Sias on an ATO to backup Nilstorp. Josh Robinson was recalled as Jack Campbell is out with injury. Texas hits the open road for a five-game set away from the comforts of the Cedar Park Center tonight in Milwaukee. The Admirals and Stars last faced off in the opening round of the 2013 Calder Cup playoffs. Texas defeated Milwaukee three games to one. The storyline of the series was definitely the fantastic goalie play from the Swedes, Magnus Hellberg of Milwaukee and Cristopher Nilstorp of Texas. As Texas laces them up at the Bradley Center this evening, they will know that Magnus Hellberg is not going to be on the ice for the Ads in this game. Instead, he will be at Bridgestone Arena in Nashville, backing up Carter Hutton against the St. Louis Blues. Nashville's well-compensated starting goaltender, Pekka Rinne, underwent surgery this week that will see him out of the lineup for at least the coming month. The Stars might not see Hellberg at all in the regular season as a result. The season series between the two clubs starts tonight and ends in just fifteen days in Cedar Park. In fact, four of the Stars' next seven are against the Ads. Milwaukee is starting the season with an exceptionally light schedule. They will be playing just their fifth game of the season against the Stars. That's just five games in the three weeks since the season started. They have not played since last Saturday's OT loss to the Wolves, which was also the home opener. They have actually found themselves in extra time in three of four games. The Admirals actually have roster very similar to their 2012-13 squad. Only eight of the 23 man roster played elsewhere last season, including five rookies. One of those is former Texas Stars Mathieu Tousignant. Top rookie Colton Sissons leads the team in scoring with two goals and two assists. Texas will be faced with its first real road trip with the visit to Wisconsin. Home cooking has suited the Stars well in their first seven games, playing five in the Cedar Park Center and only travelling to familiar OKC and San Antonio otherwise. Milwaukee packed them in for their home opener (6,667) and is sure to do the same for another Saturday night game. Usage of Austin Smith - Smith had an 'alright' game on Wednesday playing on the second line in place of Mike Hedden. Will he figure into the lineup again? Goalie decision - Rockford is a tough matchup Sunday so do you trot out your best performing tender (Jack Campbell) for Sunday's game and start Nilstorp tonight? How to use Scott Glennie? - Coach Desjardins has another new weapon at his disposal this weekend with Glennie's assignment. He hasn't seen game action in a few weeks. He could perhaps be eased in with limited minutes tonight and then see where he goes from there. Ranford was out last game and so was Hedden. I don't think either stays out for a second consecutive game. That's all complicated with Glennie's assignment. At some point, someone probably needs to go to Idaho to get regular minutes in games. UPDATED: Brock Montgomery to Idaho. The Dallas Stars have taken forward Scott Glennie off injured reserve and assigned him to the Texas Stars this afternoon. Glennie was having a really good preseason until injury struck and the highly-drafted winger went on IR for several weeks. Glennie recouped his injury in Cedar Park over the past few weeks, skating after the team with trainers to stay in game shape. Even for a team with an already healthy and stable set at forward, Glennie will certainly be placed in the lineup at the expense of another. Many speculated he could have made the roster in Dallas if not for his injury. Now I would guess that he finds a spot with Chris Mueller on the 'third' line. There is also some small outside shot that Hedden and Dowling see Glennie as their third. That worked well at the end of last year before Ritchie arrived and after Chiasson departed. In a related move, the Texas Stars have announced they are sending rookie forward Brock Montgomery to the Idaho Steelheads. Montgomery has only figured into three games this season. After coming down to the AHL on a conditioning stint two weeks ago, Aaron Rome has now passed through waivers and been assigned to the Texas Stars ahead of their five-game road trip to the Midwest. The veteran defenseman has yet to play in an NHL game this season and has zero points and is minus-1 in his three games of AHL action so far this year with Texas. No release quite yet, but it will be added when the announcement is officially made. 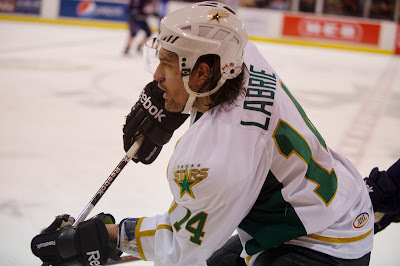 The Texas Stars announced today that they are calling up Hubert Labrie from the ECHL's Idaho Steelheads. This move gives Texas seven defensemen as they head out on their five game, ten day road trip. 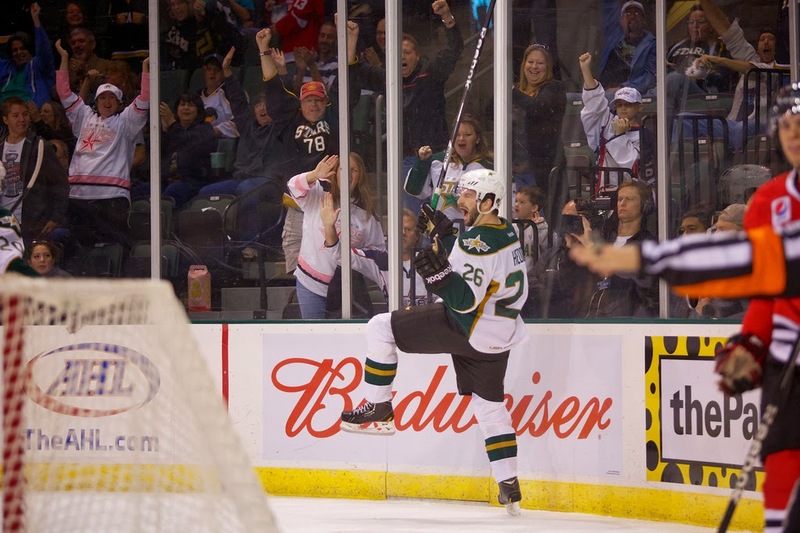 The Texas Stars, proud American Hockey League affiliate of the Dallas Stars, announced today that Dallas has reassigned defenseman Hubert Labrie to Texas from the Idaho Steelheads, their ECHL affiliate. Labrie, 22, is in his third pro season after being signed by Dallas as an undrafted free agent to a three-year entry-level contract on September 18, 2009. The Victoriaville, Quebec native has played in 90 career pro games, including 60 AHL games for the Stars, with six points (2 goals, 4 assists) and 63 penalty minutes. 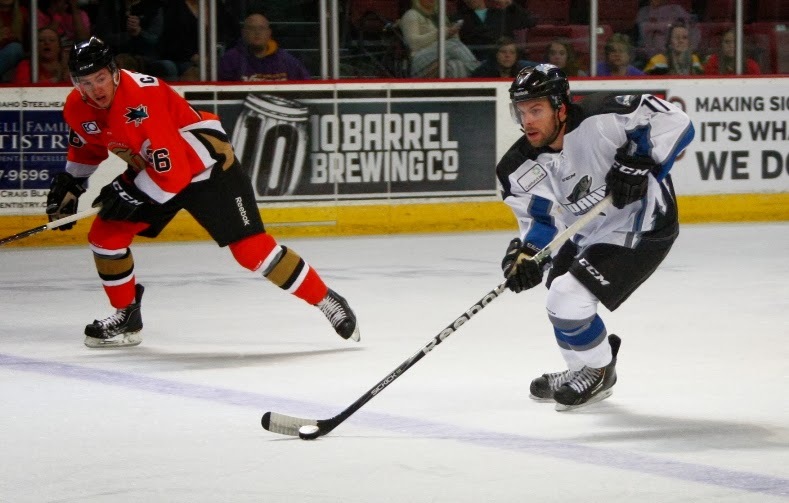 Labrie made his season debut for Idaho on October 18th at Utah and has played in both of the Steelheads games so far this year. Colton Sceviour continued his scoring ways from the weekend with two goals in tonight's contest against the Oklahoma City Barons and his former teammate and roommate, Richard Bachman. Bachman, who was drafted by Dallas and played parts of the first four years of his career in Texas, faced off against the Stars for the first time at Cedar Park Center tonight. "It's cool to play against [former teammates]," said Sceviour, who now has seven goals on the season. "But you think in the back of your head that they know what you do. You shot on them so many times in practice. That's in the back of your head." Sceviour and the Stars got the better of the matchup tonight, only the second of twelve games between the two clubs on the season. Brett Ritchie and Travis Morin added a goal and assist each for the Stars in the 4-1 win. Jack Campbell was stellar in net, stopping 25 of 26 and carrying a shutout into the third period. "Jack played really well for us," said Coach Desjardins. "It took us a little while to get going, but Jack kept us in it." The win was Texas's fourth in a row and helps them maintain their hold on first place in the West. Texas spent a lot of the period in its own zone in the first period. Despite that, they managed to come out of the frame with a 1-0 lead. OKC had two power plays in the period, contributing to setting the shots at 11-7 for the Barons. "We spent a lot of time [in their zone], and they had a fair number of shots," said Sceviour. "We were happy where the shots came from, and there weren't a lot of second opportunities." Colton Sceviour put in his 6th of the season on a relentless forechecking effort. Sceviour stole the puck off Barons defender David Musil and put it top-right corner on Bachman. "I tried to beat [Musil] outside, and I didn't have anything," said Sceviour. "I took the middle and hoped he'd throw it blind. He did, and it ended up on my stick. By the time I got full control of the puck, I was low. He's smaller but he comes out and takes away angles. I knew if I had any chance I had to get it up quick. Texas skated through a scoreless second period where they outshot OKC 17-9 in the frame. The tables turned a bit more in the home team's favor as more zone time was spent in the Barons' end. However, after forty, the score was still 1-0. Brett Ritchie opened up his scoring account for the season with his first just 89 seconds into the third period. Coming down low on the left wing side, Ritchie backhanded the puck on net from a deep angle and managed to find Bachman's five hole for the 2-0 marker. "Onbviously on the second goal, that's one you want back," said Bachman. "You have to make that save down 1-0 early in the third period. Texas continued its scoring with Curtis McKenzie behind the net finding Colton Sceviour out front in the slot for the 3-0 score and Sceviour's second of the night. From Sceviour's perspective, "That goal I just tried to throw on net quick and it worked." From Bachman's, "The third goal juggled in the slot and I hesitated. I moved one inch too much, and he snuck it in five hole." The Barons drew within two when William Wrenn could not find an outlet pass from behind his net and had to force a play that ended up on a Barons' stick. From there, Matt Ford potted his first of the year on an odd-angle wrister. Late in the game with frustration mounting at the performance Campbell was putting on, Linus Omark iced the second-year tender and earned an unsportsmanlike conduct. Texas spent two of the final five minutes on the power play. Two of the remaining minutes were spent at 6-on-5 for the Barons with Bachman on the bench for the extra attacker. Brett Ritchie specifically was playing aggressively on the 6-on-5 and was rewarded, chipping a puck off the left wing boards to Travis Morin, who scored his eighth of the year into an empty net to finish off the scoring. Texas now heads to the road for games against Milwaukee and Rockford this weekend. Coach Desjardins on Oleksiak: "I think he got better as the game went on. He stepped it up in the second half of the game." Coach Desjardins on scratching Hedden and Ranford: "Both have played well for us, but I have to look at the other guys so I know where we're at and what we have. We made the moves to get a look." Coach Desjardins on Smith's night: "I thought Smith was OK. He had one of his better games in the AHL, but I don't think he'd be super happy with his game. When you're a scorer, you have to generate all the time because that's part of your game. When you're a guy like Smith, you need to find the net." Bachman on returning to the CPC: "It's natural habit to go to the right instead of straight and you have to think 'Which end of the ice am I going to?'. Overall, it was good to come back though." Before the last matchup in this series, the Stars and Barons were ranked 11th and 14th respectively in the Western Conference. Thanks to winning streaks by each club, those rankings have changed to #1 and #4, heady but familiar terrotry for both clubs. Texas finished first in the league last year while Oklahoma City finished fifth. Texas' last loss, in fact, came against the Barons at the Cox Convention Center last week. The Stars still earned a point for taking the game to overtime and haven't lost since. Oklahoma City, for their part, parlayed that win into a three point weekend against Abbotsford to bank a four game point streak. Richard Bachman has been hot for the Barons. He ranks near the top of the league in goaltender stats with a sub 2.00 GAA and .934 SV%. He hasn't been rewarded with as many wins as those numbers probably deserve (2-3-1) but is certainly showing no ill effect of being back in the AHL. That win number is probably due to the anemic Barons' offense which is averaging 2.14 goals per game, the same as its goals against average. That's not a recipe for success, but Todd Nelson's club appears on the upswing in that regard. Texas returns its second-year goalie, Jack Campbell, to Cedar Park after the shellacking he took in Anaheim on Sunday night. The Ducks put 47 shots on the young netminder. The 6-3 final was bad if you only saw the box score. Campbell played just fine but just didn't get any help at all from his defense. The Texas club features a stouter defense, averaging 25.83 shots against on the season (5th overall). Texas also keeps the puck down on the other end of the ice more, as they are #1 in shots for on the season at 37.33 per game. I would guess that Campbell gets a start here to shake off the 'bad' game in Anaheim. The biggest story right now has to be the top six (or top nine if you prefer). There's no argument on which line is the top line for Willie Desjardins right now. Travis Morin, Colton Sceviour and rookie Curtis McKenzie have fueled the Stars' offensive output. Of the 26 goals the Stars have scored, that line has 14 of them. The 'third line', if you can call them that, of Mueller, Ranford and Petersen has six goals. Three more tallies come from defensemen and one from Matej Stransky. However, the big surprise is that last year's big time scoring line of Mike Hedden, Justin Dowling and Brett Ritchie has just two goals (both Hedden's) and seven points overall. It's hard to diagnose what exactly is going on with the line, but it's arguable right now whether they are the 2nd or 3rd line. It's just a number on a page, yes, but it speaks to how the season is going for them. Mueller has had a huge impact in just a few games and has ignited scoring from rookie Brendan Ranford. Hedden and Dowling had a similar effect on Alex Chiasson last year, but it remains to be seen if that success carries over to this year and Brett Ritchie. The Dallas and Texas Stars shuffled things a bit today with the health of Kari Lehtonen improving and Aaron Rome ready for NHL action. First, Dallas recalled Rome from his conditioning stint in Texas, where he played three games tallying no points and a minus-1 rating. Fresh off their respective first starts in the NHL and AHL, Dallas assigned Jack Campbell to Texas, and Texas assigned Josh Robinson to ECHL Idaho. The Texas Stars, proud American Hockey League affiliate of the Dallas Stars, announced today that Dallas has recalled defenseman Aaron Rome from his conditioning assignment with Texas, has returned goaltender Jack Campbell to the AHL and has activated goaltender Kari Lehtonen from injured reserve. 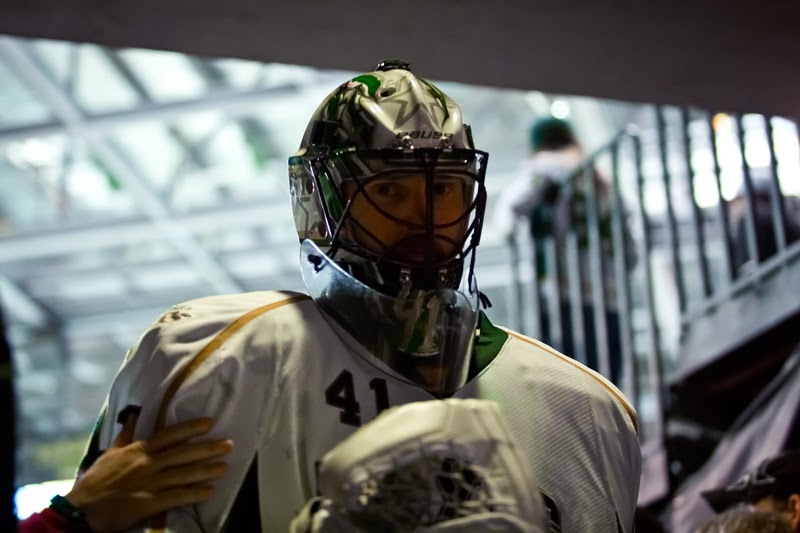 The Texas Stars also announced that goaltender Josh Robinson has been returned on loan to the Idaho Steelheads of the ECHL. Rome recorded three shots and six penalty minutes in three games with Texas during his conditioning assignment. Campbell made his NHL debut on Sunday night against the Anaheim Ducks. The 21-year-old netminder stopped 41-of-47 shots Sunday. Lehtonen has missed the last five games after being placed on injured reserve retroactive to Oct. 11 when he suffered a lower body injury. In three games this season, he has posted a 2-1-0 record and is tied for second in the League with a .953 save percentage and fourth with a 1.57 goals against average. Robinson made his AHL debut on Saturday night against the San Antonio Rampage, stopping all 26 shots he faced to record his first career AHL win and shutout as Texas won 6-0. The Frankenmuth, Michigan native currently leads the AHL with a perfect goals-against average (0.00) and save percentage (1.000). Veteran center Travis Morin has been lighting up opposition goalies this season and has been recognized by the league this week following a nine point outburst over Texas's last four games. Morin has been looking to shoot more this season and has been rewarded, finding the net seven times. He's continued to pour on the assists as usual with eight of those to boot. He is currently in first place for scoring in the league. The next closest player, T.J. Brennan, is at 12 points. This is only the third time a Texas player has won player of the week. Mathieu Beaudoin and Richard Bachman were previous winners. 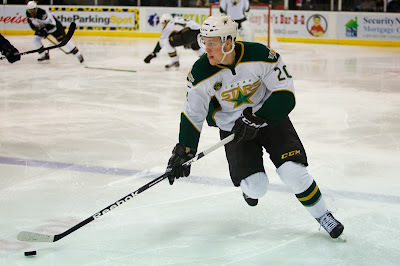 The Texas Stars, proud American Hockey League affiliate of the Dallas Stars, announced today that the league has selected center Travis Morin as the CCM/AHL Player of the Week for the period ending Oct. 20, 2013. Morin racked up nine points (four goals, five assists) in four games last week, taking over the AHL scoring lead and sending Texas to the top of the Western Conference standings. Morin drew an assist on Texas's only goal Tuesday night, helping the Stars earn a point in a 2-1 overtime loss at Oklahoma City. 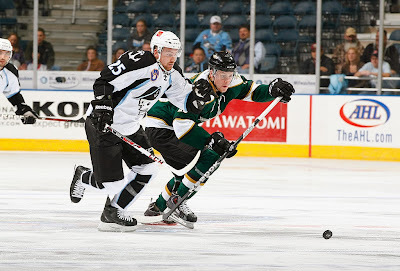 His goal on Friday night sealed the Stars' 3-1 victory at San Antonio, and he came back with two goals - including one on a penalty shot - and an assist as Texas downed the Rampage, 6-0, to sweep the home-and-home set on Saturday. Morin finished the week with his second four-point showing of the season, sparking a Texas comeback with a goal and adding three third-period assists in a 9-3 win over Abbotsford. Morin, who has tallied a point in 13 consecutive regular-season contests (11 goals, 15 assists) going back to last year, leads the league with eight assists and 15 points in six games so far in 2013-14, figuring in the scoring on 57.7 percent of the Stars' offense (26 goals). The seventh-year pro from Brooklyn Park, Minn., has skated in 290 career AHL games with Texas and Hershey, totaling 74 goals and 149 assists for 223 points, and is the Stars franchise's all-time leading scorer with 222 points in a Texas uniform. Drafted by Washington in 2004, Morin signed with the Dallas Stars on July 12, 2010. This is the third time in franchise history that a Stars' player has been select for the AHL's weekly award. Forward Mathieu Beaudoin was the first to earn the honor for the week ending on December 6, 2009 and goaltender Richard Bachman for the week ending on November 21, 2010. With the game tied going into the third period, Texas opened up a six goal final frame including a Colton Sceviour hat trick, four points from Travis Morin and three each from Chris Mueller and Curtis McKenzie, to put a 9-3 final up against the Abbotsford Heat. 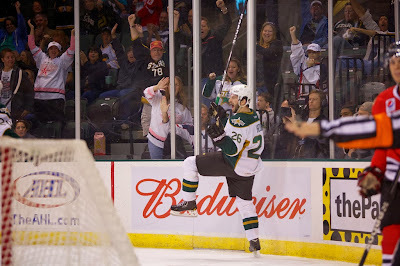 The nine goal outburst was a Texas Stars record for most goals in a game, breaking the previous eight goal record. 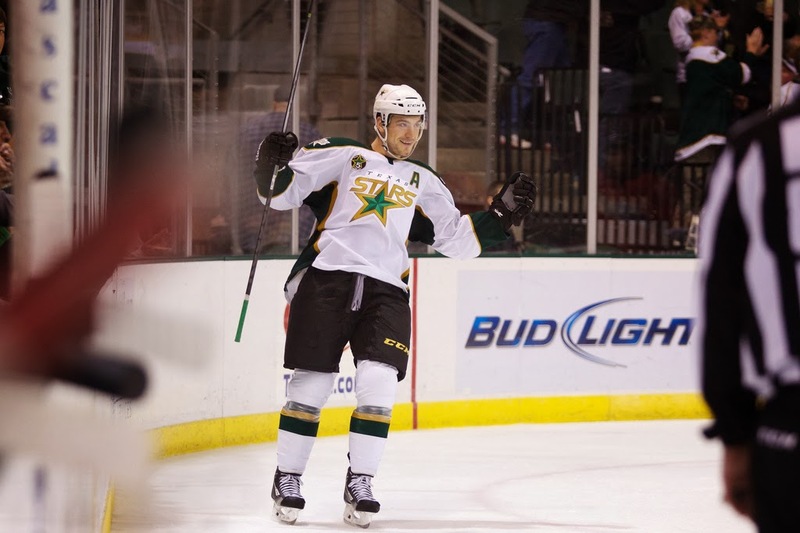 "Coming in to start the third, no one expected the final," said Sceviour, who set the Texas Stars record for points in a game with five in the game. He added, "Travis mentioned the five point record on the bench right after I scored. I didn't know it until that point. I've never had a pro hat trick. It's a cool feeling for sure." Abbotsford and Texas were both finishing a 3-in-3 weekend set, with the Heat coming off two games in Oklahoma City on Friday and Saturday. "They had a tough road trip for the game here today," said Travis Morin, who scored his 7th goal of the year in the second period. "Both teams played three but it's always harder when you're on the road. They had five or six hours on the bus last night." It was a tale of two halves for the Stars as Texas found itself down 3-1 thirty minutes into the contest. "We didn't play that great in the first half of the game," said Sceviour. "They were taking it to us. When we got down 3-1, we realized we needed to wake up to win this game. We started playing our game and imposing our will on them." Texas evened it up on goals from Morin and Mueller to end the second tied at three. The power play came alive in the third period to fuel the win. A 5-on-3 opportunity early in the final frame generated two goals in 22 seconds, and Texas was off to the races. McKenzie, Sceviour, Gaunce and Stransky all scored in the third with Sceviour getting all three in the period. "It's good to see Sceviour get goals," added Coach Desjardins. "He's played well but it hasn't gone for him as much." Cristopher Nilstorp stopped 20 of 23 shots for the win. The Stars opened the scoring on a bad bounce off the stanchion. Abbotsford attempted to rim the puck around the back of the high on the glass, but the puck ricocheted out in front where Mike Hedden found the net for his second of the year. Abbotsford came back and scored two before the end of the period to put them ahead 2-1 after twenty. 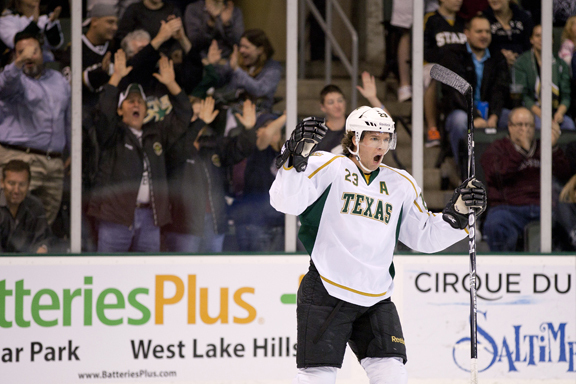 Tyler Wotherspoon scored the first of his pro career off a failed clear by the Stars. Greg Nemisz pushed the Heat ahead just a few minutes later. Texas allowed another Abbotsford goal off the rush as former Griffin Chad Billins shot a low puck through the five hole of Nilstorp. Another turnover generated Travis Morin's 7th of the year as Colton Sceviour gloved a clearing attempt down to his stick and shot it on net. The rebound found Morin on the left wing side and cut the Heat lead to 3-2. Chris Mueller extended his point streak to four games at the end of the second period with a power play goal. Patrik Nemeth got a stick to face, resulting in a four minute double minor to Carter Bancks. Texas scored on the second half of the man advantage with Mueller shooting home another rebound off a Sceviour shot and tied the game at three. The third period explosion started as Ramage and Billins found themselves in the box and the Stars got a 5-on-3 power play. Curtis McKenzie crashed the net for a garbage goal and Sceviour scored just a few second later to put the score at 5-3. Sceviour continued his dominance and the power play dominance overall just five minutes later with McKenzie assisting again in the seventh minute. Cameron Gaunce blasted home the Stars seventh of the night from the top of the zone, beating Brossoit cleanly. Colton Sceviour tabbed his first professional hat trick with just over four minutes left in the game, finishing off a pass from Travis Morin for the 8-3 mark. Matej Stransky added his first professional goal with just 14 seconds left in the game on a power play. Olsen was in the box for the rarely-called spearing. It wasn't just the third line getting in on the scoring tonight as the Stars fired on all cylinders at forward, defense and especially in net with a six goal outburst and a shutout performance from their rookie goaltender. Josh Robinson, recently called up from the Idaho Steelheads and making his first AHL start, stopped 26 of 26 for a clean sheet. "I tried to keep my day as normal as possible," said Robinson. "I had some nerves but once I got a few shots, I felt good. You try not to think about anything but stopping the next shot." San Antonio's Scott Clemmensen had a lot of 'next shots' to worry about on the other side as Texas put 41 on the veteran goalie. 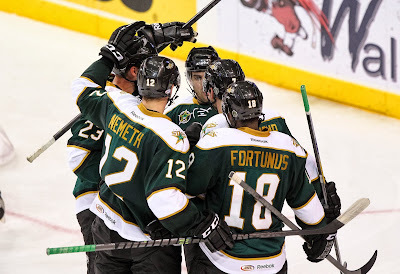 Travis Morin scored on a penalty shot and on the power play while each of the players on the Stars' new third line picked up a goal, totalling six points on the night among Chris Mueller, Toby Petersen and rookie Brendan Ranford. With time dying in the third, William Wrenn finished off Texas' scoring with an unassisted shot from the point finding twine for the 6-0 mark. Josh Robinson, playing in his first AHL game, stopped all 26 shots he faced to lead the Texas Stars to a 6-0 win over the San Antonio Rampage Saturday night in front of 4,795 fans at Cedar Park Center. The Stars got on the board early when Travis Morin extended his point streak to 12 games, dating back to last season, by capitalizing on a penalty shot, beating goalie Scott Clemmensen five-hole. The penalty shot at 3:37 was the first awarded to Texas since April 14, 2012. 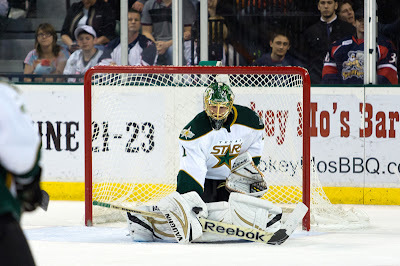 Stars goalie Josh Robinson started the game off hot, stopping all 15 shots that he faced in the first period. Texas doubled their lead at 6:15 in the second when Brendan Ranford fired a seeing-eye slap shot from the left boards into the corner of the net. 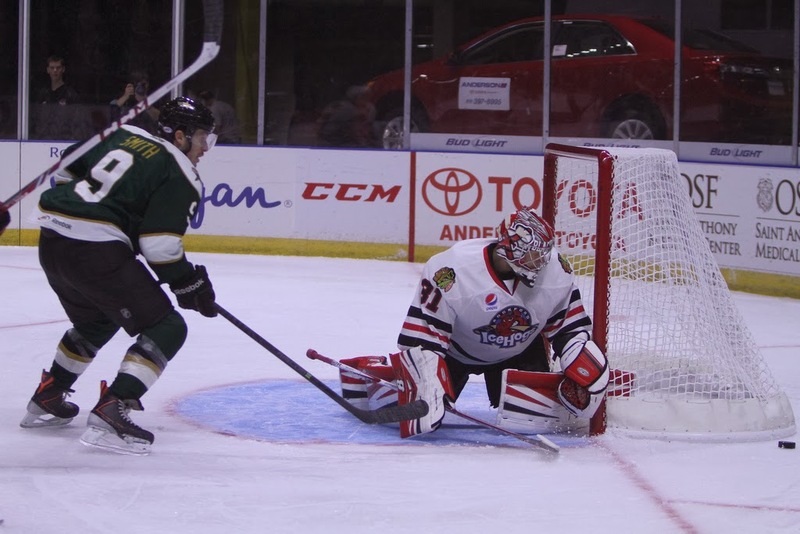 The goal, assisted by Toby Petersen, gave Ranford his third point in just three pro games. Petersen added a goal of his own with a quick wrister, beating Clemmensen through the five-hole at 11:44, assisted by Chris Mueller. The Stars extended their lead to four after a beautiful cross ice pass from Jamie Oleksiak found Mueller, who roofed a backhand shot at 15:32 for a power play goal. The Stars continued to pour it on in the third with two more power play strikes. Morin notched his third point of the game with his second goal of the night at 2:27, assisted by Curtis McKenzie and Mueller. Rookie defenseman William Wrenn capped off the scoring with an unassisted blast from the top of the left circle to make it 6-0 Texas. Robinson stood tall late, fending off a strong surge from the Rampage to finish off the shutout. He had a lot of help from his defenseman as well, as they successfully killed all five San Antonio power plays. Tempers flared late, with both teams combining for 94 penalty minutes for the game. Josh Robinson recorded his first career AHL win and shutout, making 26 saves in his AHL debut for Texas. San Antonio goalie Scott Clemmensen took the loss as he allowed six goals on 41 shots. The Stars out-shot the Rampage 41-26 in the game and went 3-for-7 on the power play; the Rampage were 0-for-5 with the man-advantage. Last night's victory in San Antonio was a solid step for the Stars' overall growth on the season. In their first three games, all eight Stars' goals came from their top two lines. Needing depth scoring, the third line delivered on Friday. It didn't hurt that a healthy Curtis McKenzie pushed Chris Mueller to the third line, where he combined with Brendan Ranford for four points on the night. Texas is in a similar position to where they were at the end of the 2012-13 season. The scoring talent is leaking onto the third line, which is great for the club. While there may be some who would argue that the Stars should place Mueller on the first line with Morin and Sceviour, it makes more sense to slot McKenzie there for multiple reasons. First of all, he's sandpaper on that line and has shown a bit of hands in his short time with Texas. Also, he has more of an opportunity to mature with some veteran insulation on the first line. Instead, Texas gets scoring touch on the third line in Mueller and combines him with Petersen to provide a safety blanket for another rookie: Brendan Ranford. It's just one game, but it worked out pretty well. Texas could see a vast difference in experience in the goaltender faceoff tonight. Scott Clemmensen was assigned by the Panthers yesterday and could start tonight. Clemmensen is a veteran of 171 NHL games while Josh Robinson, likely Texas starter, will be playing in his first AHL game. Brendan Ranford and an invigorated third line were the difference in tonight's 3-1 victory for the Texas Stars tonight in San Antonio. 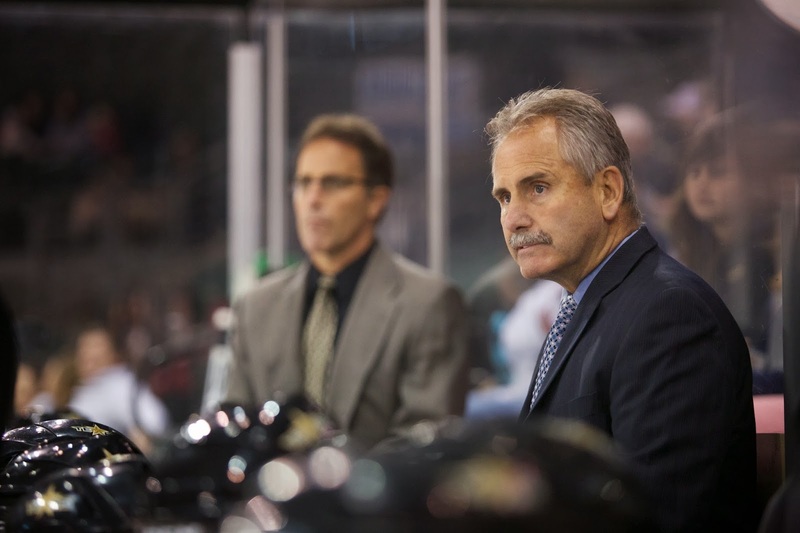 Having gotten all of their goals from the top six in the preceding three games, Texas Stars' coach Willie Desjardins had intoned that his club needed to develop their depth scoring to ensure success. The addition of Chris Mueller to center Brendan Ranford and Toby Petersen generated the Stars' first goal, Mueller's first of the year. Brendan Ranford picked up an unassisted goal off a misplay by Rampage goalie Dov Grumet-Morris. Cristopher Nilstorp got the start in net in the penalty-filled affair, which ultimately saw 46 penalty minutes between the two teams and twelve power play opportunities. The Texas tender faced a light load, only 26 shots, and stopped 25. San Antonio's Grumet-Morris stopped 33 of 35. The Stars started that shot barrage in the first period, outshooting the Rampage 2:1 in the period at 14-7. The scoring got started in the second period early as Chris Mueller scored his first of the year just 79 seconds into the middle frame. Mueller was inserted on the third line with the return of Curtis McKenzie to the first line. Matej Stransky was scratched to make room for Mueller on the line. Brendan Ranford assisted on the goal, his first professional point. Late in the same period, Garrett Wilson got his first of the period, crashing the net and redirecting the shot of former Star Greg Rallo past Nilstorp. Less than a minute later, Texas pushed ahead again though as Dov Grumet-Morris misplayed a puck and forechecking Brendan Ranford picked up his first pro goal. The clubs continued to trade penalties in the third period with a number of abbreviated power plays as many of them overlapped. San Antonio pulled Grumet-Morris with just under a minute left and allowed Travis Morin to continue his scoring streak. Morin found the empty net with assists from Max Fortunus and Chris Mueller to total four goals and four assists in eight games. Matej Stransky was scratched for the first time on the year tonight. As Dan Weiss has pointed out on Twitter, it's the fifth anniversary of the Texas Stars and that means the fifth year of the Rampage rivalry. Interestingly enough, the next two games mirror the setup of the first two games in the series history. The first game was October 2nd, 2009 in San Antonio and was also Texas's first regular season game ever. 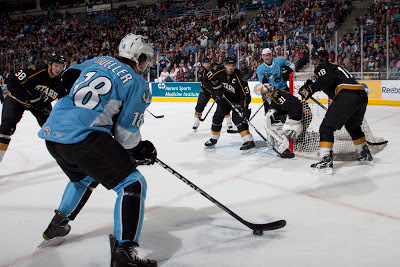 The Rampage won that one 3-2; Maxime Fortunus and Ivan Vishnevskiy scored the goals. In the return game at Cedar Park on October 3rd, the game went to overtime, as so many have, and Texas won. It was a Greg Rallo power play goal that did the trick. Colton Sceviour picked up his first pro point in the game. That trend has continued as 24 of the 46 games in the series have been decided by one goal. Texas holds the overall series advantage at 29-11-2-4. Last year was a good one for Texas and a down year for San Antonio. Just a year off their first postseason win in team history, the Rampage put up an abysmal 2-9-0-1 record against Texas and didn't fare much better against the rest of the league. The future is on its way in the Alamo City though as Vincent Trocheck has been just as good as advertised through four games, picking up a point per game. He picked up a boat load of awards in his final year in junior and now has his sights set on the NHL. Also back are forwards Quinton Howden, Drew Shore and D-man Alex Petrovic. Former Star Greg Rallo earned the captaincy in his third year with the team and has potted three assists so far in the first four games. In net, Jacob Markstrom is gone. At the beginning of the year, the Panthers looked to be featuring Scott Clemmensen and Markstrom, but an injury to Clemmensen meant Florida picked up one-time Boston Bruin Tim Thomas for the season. Now with Clemmensen healthy, the Panthers are carrying three goalies. Tim Thomas is injured for the moment, so the Panthers are pretty much where they planned to start the year. In San Antonio, this has meant that the blue chip prospect pipeline is a little dry in net. Dov Grumet-Morris is back and will no doubt put up superb numbers no matter the odds (as he has done the past few years). Michael Houser backs up DGM. Houser spent all of last year in the ECHL with Cincinnati. He was undrafted but had a solid junior career with the London Knights where he was the first American to be named CHL Goalie of the Year in 2011-12. He was also awarded the OHL's MVP trophy that season. Texas is putting up a very similar crew to the one they had on Tuesday. Curtis McKenzie is out with an injury so lines look to stay in tact. If Nilstorp goes tonight in San Antonio, it's possible Josh Robinson could get his first AHL start in net on Saturday at home. The Texas Stars (1-1-1-0, 3 pts, #12 Western Conference) somehow only had one game this week, an eight day gap between contest that saw much of the league advanced up the standings around them. They will make up for that this weekend with a three-in-three back in the Lone Star State. OKC's Linus Omark ended things less than a minute into the overtime period after Texas survived a barrage of shots in the third period to earn a single standings point tonight at the Cox Convention Center. The Stars came into the third down 1-0 and were outshot 16-3 in the final frame. One of those shots, off the stick of Colton Sceviour, found twine behind former Star Richard Bachman to even things up. A scoreless first period saw the Stars and Barons trade power play opportunities. Travis Morin's holding call rolled over into the second period and yielded the opening goal from the Oklahoma City Barons. C.J. Stretch centered the puck to rookie Andrew Miller to setup the young right wing's first goal of his pro career. The goal was scored with just three seconds remaining in the Morin minor. Texas was outshot through most of the period but closed 7-3 shot deficit and ended the period at ten each. Veteran Colton Sceviour evened things up in the third period, spoiling a shutout bid by former Texas goalie Richard Bachman. Off an icing call against the Barons, the Stars took advantage. Sceviour found his own rebound off the post to tie the game at one each early in the final frame. Travis Morin assisted to extended his point streak to three games and overall total to seven on the season. Patrik Nemeth got the second assist, his first point of the year. The Stars were lucky to score on that shot, as it was one of only three in the period for the away club. The Barons, meanwhile, rifled sixteen on Cristopher Nilstorp in the frame. Aaron Rome, playing his first game of the season, had several mental lapse penalties in the game. He took a boarding call in the second, was the sixth man on the ice in the third for a too many men call and then had an interference call with less than two minutes left in the third period. While the Omark goal in OT didn't count as a power play goal, it came just four seconds after the penalty expired. The Barons were already rushing up the ice as Rome made his way out of the box and he was unable to make a difference on the play. Texas is back in action in San Antonio on Friday for the start of a three-in-three. 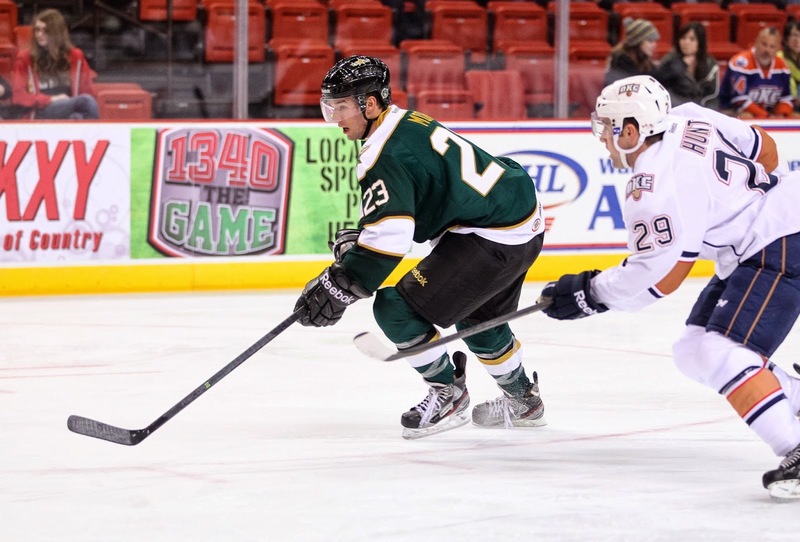 With several players shuffling into the roster from Dallas, the Texas Stars announced today that they are sending defensemen Ryan Button and Hubert Labrie and forward Taylor Vause to the ECHL's Idaho Steelheads. Button and Labrie are on contract to Dallas, and Vause is on contract to Texas. Vause was expected to spend much of the season in the ECHL, having signed a standard contract with Idaho but since earning a deal with Texas. Button and Labrie are bubble players for Texas and could go either way depending on their performance this season. 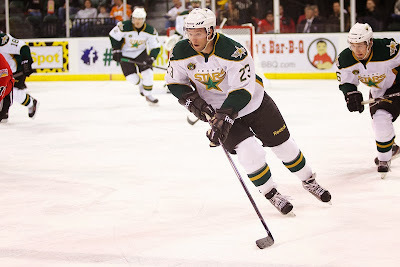 The Texas Stars, proud American Hockey League affiliate of the Dallas Stars, announced today that forward Taylor Vause and defensemen Ryan Button and Hubert Labrie have been assigned to the Idaho Steelheads, the team's ECHL affiliate. Button and Labrie were officially reassigned by Dallas, while Vause, who signed an AHL contract last week, was loaned by Texas to Idaho. Button, 22, was acquired by Dallas on July 4, 2013 in a seven-player trade with the Boston Bruins, along with Tyler Seguin and Rich Peverley in exchange for Loui Eriksson, Matt Fraser, Joe Morrow and Reilly Smith. The Edmonton, Alberta native is in his third pro season and has played in 95 career pro games, including 60 in the AHL for the Providence Bruins where he had three assists and 33 penalty minutes. 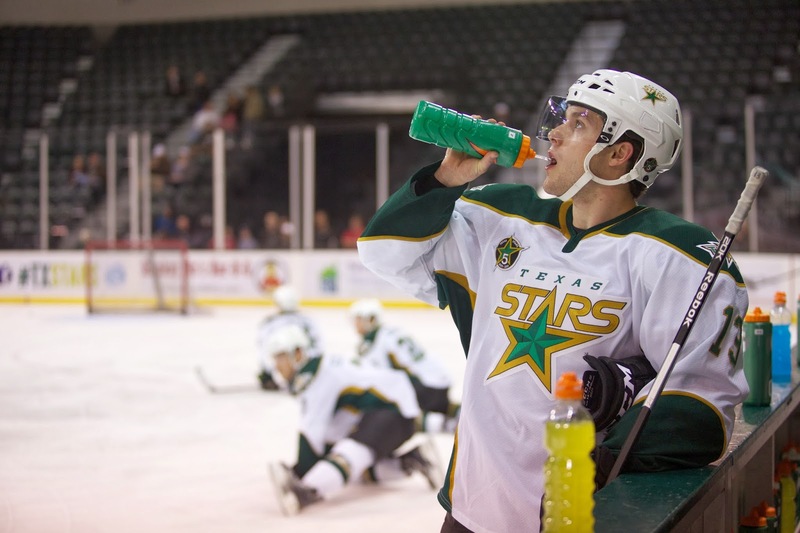 Button attended training camp with Dallas and Texas, but has yet to play an AHL game for the Stars. Labrie, 22, is in his third pro season after being signed by Dallas as an undrafted free agent to a three-year entry-level contract on September 18, 2009. The Victoriaville, Quebec native has played in 90 career pro games, including 60 AHL games for the Stars, with six points (2 goals, 4 assists) and 63 penalty minutes. 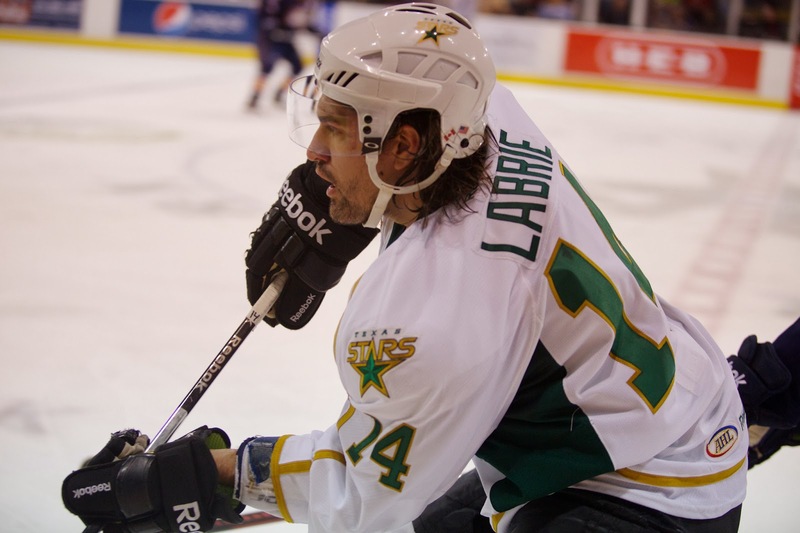 Labrie attended training camp with Dallas and Texas, but has yet to play an AHL game for the Stars. Vause, 22, is in his second full pro season and has played in 62 career AHL games and has 19 points (5 goals, 14 assists) and six penalty minutes, all with the Stars. The Calgary, Alberta native attended Texas' training camp on a tryout and made the Stars opening night roster after signing a PTO on October 2nd. Vause skated in the first two games of the 2013-14 season and then signed an AHL contract with Texas on October 10th. The wait is over. After seasonus interruptus in just the first week of the 2013-14 campaign, Texas sets its sights on the club that knocked them out of the 2013 Calder Cup playoffs: the Oklahoma City Barons. The Barons have had some rough times over the first week or so of the season, taking until their fourth game of the year to earn points but losing by only one goal in each loss. They finally broke through on Sunday against Iowa after dropping two against Charlotte at home and one in Iowa. Gone from the roster is the rock in net for OKC, Yann Danis, and in his place, perhaps is a rock that you might be familiar with: Richard Bachman. Bachman was signed over the summer by Edmonton as depth goaltending and with his name penciled in for the starting role in Oklahoma. It's early in the season, but Bachman has been in net for those three aforementioned losses. However, in those games, he had a 2.36 GAA and .920 SV%. Olivier Roy has the only other start, a 4-2 win. The Stars just missed having another former player on the other side of the ice as Philip Larsen was called up to Edmonton this weekend. The young Dane is the Barons' leading scorer among defensemen early in the season with 1-1-2 in 2 GP. Derek Nesbitt is a force to watch out for on the front lines. Always a scoring threat, Nesbitt leads the Barons in points early with two goals and an assist. Departed names include former Star Garrett Stafford, Mark Arcobello, Toni Rajala, Teemu Hartikainen, Jonathan Cheechoo, Philippe Cornet and Josh Green. On the Stars' side, Texas coach Willie Desjardins has some late line juggling to do to fit in some new assignments. Chris Mueller and Aaron Rome will pop into the top of the lineup somewhere, pushing others out. Rome will certainly get a larger role in the AHL than he does in the NHL as he is here to condition and get back to game speed. It wouldn't be surprising to see one or more defensemen from Texas head to Boise for a short time with Texas now carrying nine. With Jack Campbell in Dallas, expect to see Cristopher Nilstorp in net tonight. Texas plays a three-in-three this weekend though, so Josh Robinson could get his first AHL start within the week depending on the condition of Dallas starter Kari Lehtonen. 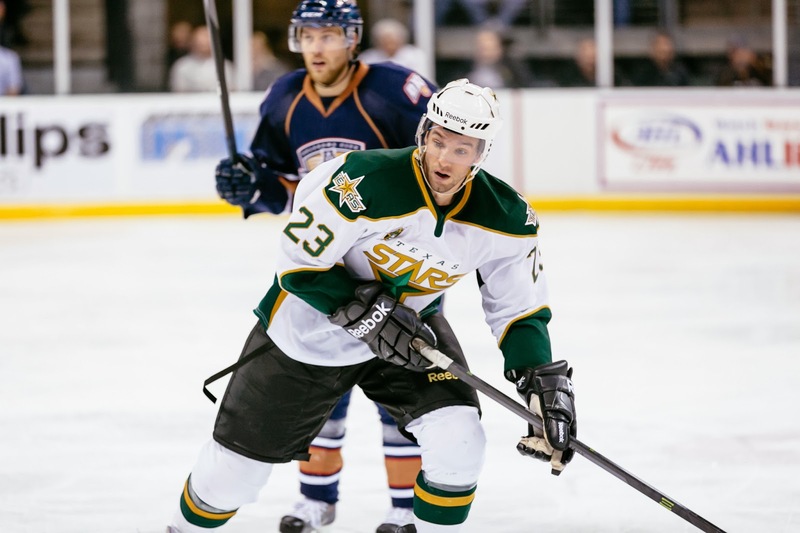 Veteran defenseman Aaron Rome and center Chris Mueller have both been assigned to the Texas Stars this morning by Dallas. Rome comes to Texas on a conditioning assignment after missing much of the Dallas Stars' preseason and all of the regular season to this point. He will rehab a hip injury in the AHL. Conditioning loans cannot extend longer than 14 days. Chris Mueller cleared waivers this morning at 11 AM and was assgined after making the Dallas opening roster due to Rich Peverley missing several games with an irregular heartbeat. Both should be in the lineup against OKC tomorrow in Oklahoma. You would expect the top six to be where Mueller lands, but who do you bump? Most likely candidate would be Curtis McKenzie, but I think his development would be best served by having him on that line. Could you place Mueller on the third line? Perhaps Stransky-Mueller-Smith? This is also not great for line chemistry, which the Stars spent all week building, only to have it taken apart just before their firsr game in a while. Finally, Kari Lehtonen has been placed on IR retroactive to October 11th, which means the Stars are going to hold onto Jack Campbell for the time being. They have a back to back this weekend in LA against the Kings and Ducks. Campbell could see his first NHL start this weekend if Lehtonen does not return. The Texas Stars, proud American Hockey League affiliate of the Dallas Stars, announced today that Dallas has assigned forward Chris Mueller to Texas. Dallas also activated defenseman Aaron Rome from injured non-roster and loaned him to Texas on a conditioning assignment. Additionally, Dallas has placed goaltender Kari Lehtonen on injured reserve, retroactive to the game on Oct. 11 against Winnipeg, when he suffered a lower body injury. Mueller, 27, signed a one-year, two-way contract with Dallas as a free agent on July 8, 2013. The West Seneca, New York native made the Stars’ opening night NHL roster and skated in the team’s season opener on October 3rd against the Florida Panthers. Undrafted, Mueller split the 2012-13 season between the Nashville Predators and their AHL-affiliate, the Milwaukee Admirals. He had five points (2 goals, 3 assists) and six penalty minutes in 18 games for Nashville and registered 36 points (18 goals, 18 assists) and 35 penalty minutes in 55 games for Milwaukee. Mueller has played 38 career NHL games, all but one with the Predators, and has played in 323 career AHL games for Lake Erie and Milwaukee. Rome, 30, began the season for Dallas on an injured non-roster spot. The Nesbitt, Manitoba native signed a three-year contract with the Stars as a free agent on July 1, 2012. Last season Rome played in 27 games for Dallas in the lockout­-shortened season, tallying five assists and 18 penalty minutes. Originally drafted by the Los Angeles Kings in the fourth round (104th overall) of the 2002 NHL Entry Draft, he has played in 201 career NHL games, recording 27 points (6 goals, 21 assists) and 174 penalty minutes for Anaheim, Columbus, Vancouver and Dallas. Rome also has played in 325 career AHL games for Cincinnati, Portland, and Syracuse, scoring 128 points (33 goals, 96 assists) and 681 penalty minutes. Dallas returns to action Tuesday, October 15th against the Colorado Avalanche at Pepsi Center in Denver at 8:00 p.m. In the Dallas Stars' 4-1 trouncing of the Winnipeg Jets last night, goalie Kari Lehtonen sustained a lower body injury. That necessitated the call up of a goalie from Cedar Park. This time last year, that call goes to Cristopher Nilstorp. This time, it was Jack Campbell. Campbell won't start tonight. Due to the back to back, Dan Ellis was already slated to man the pipes for Dallas in Minneapolis. However the fact that he got the call speaks volumes on where he is in his development. It might also speak volumes about where Nilstorp is after a disappointing outing on Sunday against Rockford. It was the tale of two tenders last weekend, and Campbell won out. He looked rock solid with just one getting past him. It was deflection that he really couldn't do a lot about. Nilstorp was a little out of position much of the night, over-committing to some shots and not tracking others well at all. In Dallas, Nilstorp didn't sparkle quite as well in preseason either. Coach Desjardins has said that he prefers to have a number one tender and all but explicitly stated that Campbell has the opportunity to grab it this season. Lehtonen is day-to-day, so Campbell probably won't get a start. However, it is a good indication of where the organization thinks he is that he got called. Josh Robinson was recalled from Idaho to backup Nilstorp in Texas. 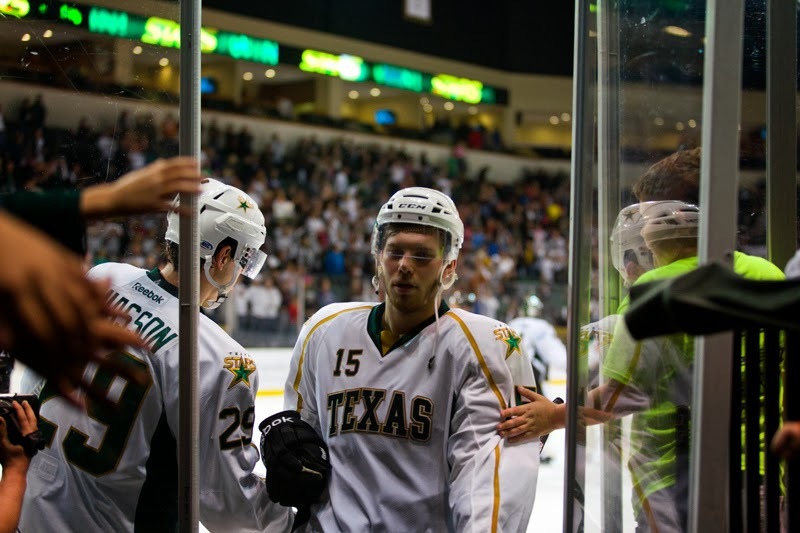 The Texas Stars have signed forwards Taylor Vause and Brendan Ranford to standard AHL player contracts after successful professional tryouts. Vause started last season on a PTO and earned a contract after two tryouts. Vause played on the third line in both of Texas's games this weekend. Ranford, who also went to Dallas camp on a PTO, has yet to play a game. There was no indication if these were AHL-ECHL or AHL-only deals. Vause already has a contract with the ECHL Idaho Steelheads. The Texas Stars (1-1-0-0, 2 pts, #4 Western Conference) split their opening weekend of the AHL season. Coach Willie Desjardins and the defending South Division champs raised their banner before a win on Saturday and then dropped a close game on Sunday. The club will now take an inexplicable eight day break before returning to action in Oklahoma City on Tuesday. Travis Morin was the story of the weekend on the positive side. The veteran center collected a total of six points (3 goals and 3 assists) in two games on the weekend with a plus-4 rating. Less than 24 hours after scoring four against Chicago, Texas dropped a 4-3 decision to Rockford this afternoon, giving up a two goal lead in the first period. "We had a good start, but we got away from our systems," said Travis Morin, who continued his scoring torrent with a goal and an assist. "We weren't playing the way we were supposed to." After going up by two in the first ten minutes, Texas ceded two goals in the next five to reach a tied score. "We played well at the start," added Coach Desjardins. "But they capitalized on some mistakes to get themselves going. We didn't work as hard away from the puck as we needed to." Rockford pushed past Texas with a second period goal, which Texas answered just a minute later off the stick of Mike Hedden. The IceHogs' Mark McNeill put in the ultimate game winner with 90 seconds left in the second period. Rockford was playing very aggressively all night, and it put Texas back on its heels. "They [activate D on offense] a lot, and it put our defense on their heels," said Desjardins. "Pucks were bouncing, and they didn't want to get caught so that gave [Rockford] speed." Morin continued, "We knew they were going to jump into the play, especially their D. When they get a turnover, they go. The forwards weren't as high as they should have been, and that gave them some odd man opportunities." Texas tender Cristopher Nilstorp stopped 20 of 24 against in his first start of the year. Rockford's goalie, Kent Simpson, stopped 41 of 44 and combined with his performance last night has stopped 90 on the weekend. Travis Morin opened the scoring in this one with a carbon copy of his first goal from last night. Morin beat Simpson blocker side by picking a corner and set the score at 1-0. Sceviour assisted. 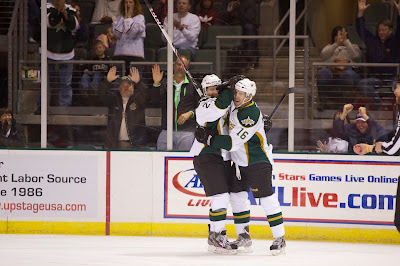 Morin stayed in the action on the power play with a primary assist on Curtis McKenzie's first pro goal. The power play goal came as Morin dished to McKenzie to the right of the net. McKenzie put on a nice turnaround move to beat Simpson and make it 2-0 for Texas just ten minutes into the game. Just over a minute later, Jeremy Morin (no relation) potted his first of the year, finding a corner behind Nilstorp to cut the lead to 2-1 for Texas. Another three minutes and Clendening blasted a power play goal from the point to tie things at two all. The first period ended with a 13-10 lead in shots for the Stars. Cristopher Nilstorp stopped a penalty shot from Alex Broadhurst to get the Stars' crowd back into the game. Klas Dahlbeck took the air out just as quickly as he pushed Rockford ahead less than thirty seconds later, and they would not trail again. 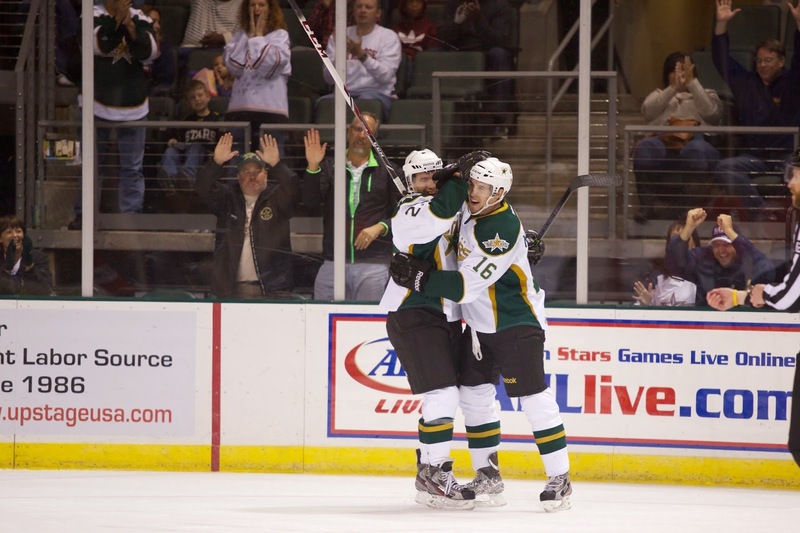 Justin Dowling's line generated the Stars' tying goal one minute later on a gritty effort. "Things weren't going our way so we started getting into the dirty areas," said Mike Hedden. "Ritchie had a great chance and couldn't find the net. I just got lucky, and the puck was sitting there. I just poked it into the empty net." Hedden's goal was his first of the year, assisted by Brett Ritchie and Justin Dowling. "They went hard to the net there, and it's good for them to get rewarded," said Desjardins. "They've had some chances and nothing went in for them." Texas allowed one more in the period as Cristopher Nilstorp got bowled over, and Mark McNeill potted his first of the year. Shots were 13-8 for Texas in the frame. The Stars couldn't put it together in the final period to overcome that deficit. Desjardins intoned, "Throughout the game, we didn't generate the quality chances we needed to. Morin's line carried us." A furious final five minute effort had a few close calls on the Rockford net, but no goal. "We need to play with that intensity all game," said Hedden. "Teams are too good in this league and we have to play like that all night to win." With eight days off ahead of them, the Stars will surely focus on teachable moments from the game. Texas plays just one more game before going on an eight-day break just a few days into the season. "They're a big team and they play hard," said Coach Desjardins. "We had the strangest games against them last year. We have to be ready from the start and play a full 65 minutes, if we need to." Coach Desjardins is referring to the odd occurrence last year wherein three of the four games against Rockford saw the home team go up 3-0 only to lose on the final scoreboard. In the fourth game, Texas saw a 4-1 lead evaporate at home to lose. Rockford comes to town after losing 3-1 last night to San Antonio in their season opener. They allowed 56 shots on net in the game, a huge sum. Antti Raanta got the start but took a shot off the inside of his knee and left the game just five minutes in. Kent Simpson relieved him and faced 51 of those 56 shots. Rookie Alex Broadhurst scored the only goal of the contest for the IceHogs. Cristopher Nilstorp is expected to get the start in net for the Stars. Austin Smith could be ready for tonight's game. However, with eight days of potential rest in front of him, Texas may just roll their lineup from Saturday and allow Smith extra rest days to ensure he is 100%.